As the clock struck midnight, marking the beginning of 2010, six panicked employees were jammed into a Malibu, California vacation rental, attempting to keep their company’s app from crashing and customers from boiling over with rage. The CEO had supplied tacos, drinks and the house, having planned the trip quickly when he felt an inkling of the issues his team would be up against on this night. With him were his co-founder, a marketing maven and three engineers. Into the early morning hours, the team frantically dealt with customer-service emails and development kinks. At the time, CEO Travis Kalanick had little idea how the evening’s events would solidify his company as one of the biggest, baddest companies in the world: Uber had survived its first New Year’s Eve. That night is one of Uber’s busiest and most profitable of the year. 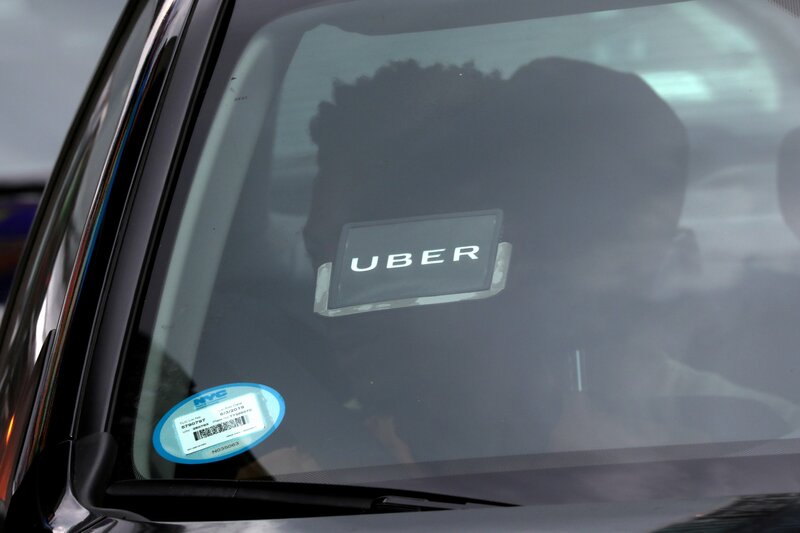 It is also, as a former employee once described it to Newsweek, “a personal and professional hell.” High surge pricing is necessary to get its drivers to work on a holiday, but customers become alienated if the prices are set too high. Wait times for cars can become long, customer service queries are numerous, servers are overloaded and turning a profit means finding an appropriate way to deal with all of the issues at hand. The next year, Kalanick’s startup braced for New Year’s away from its offices once again. The trip was now dubbed “workcation,” a working vacation, and 15 employees set up shop in a rented Costa Rican home. This New Year’s was no less stressful, but catching glimpses of tropical paradise amid the hundreds of support issues seemed to calm the staff. 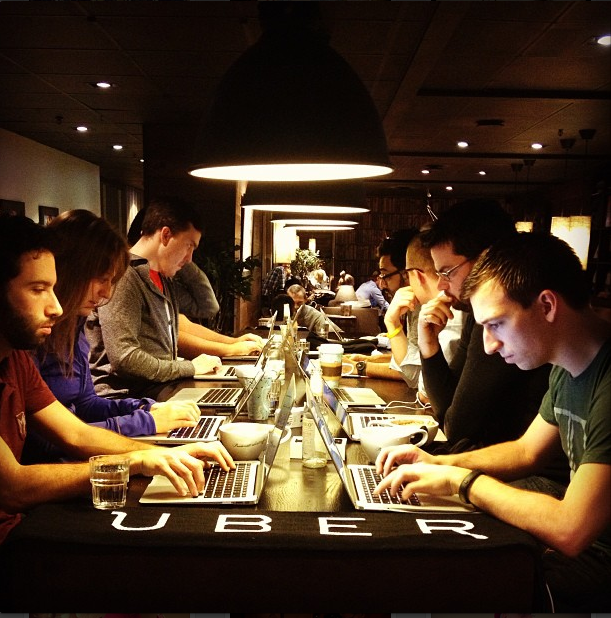 By 2012, Kalanick decided to make workcation a more formal event. The weeklong trip was given a theme and a dedicated time frame: It would always take place at the beginning of January, an escape from the madness of New Year’s Eve. Employees would submit project concepts to the CEO directly for approval. If Kalanick liked the idea, he would sign off on it, create a budget and dub the person who submitted the proposal Team Leader. He would have no say in the location; that was up solely to the leader. California wine country and Latin American countries are popular locations. Projects were to be focused more on development than on marketing ideas. Then, the team recruitment would begin. Engineers are a particularly hot commodity, and they are recruited to workcation teams first. Other staff members can lobby for roles on teams, pitching their love of the location selected, the other members or the concept to the leader. Each team ends up with between three and seven members. While the leader’s travel expenses are paid for, the other team members must pay their own way. Uber believes this encourages only extremely motivated employees to attend workcation trips, rather than those just seeking free vacations. Once assembled, the teams begin brainstorming, building and, of course, actually enjoying the destination. Since Kalanick established workcation, the themes have played an incredibly important role in the experience. Expansion was the theme of 2013, and two teams were formed; one was sent to Stockholm to oversee a launch and the other to Melbourne, Australia. In Melbourne, 15 employees arrived to find their Airbnb apartment had been a scam: Their money was gone, they had no place to stay, and Uber was supposed to start service in the city in just a few hours during the busiest time of the year. They scrambled to create a makeshift office, and one employee busted out his ukulele, a talent not shared at headquarters, to entertain the staff while they got things up and running. Melbourne launched. Stockholm launched. Employees went out drinking at four in the morning. The next year, 20 teams were approved for workcation. Workcations are used by numerous companies, and working from a distance has become a breeze since the rise of mobile technology. 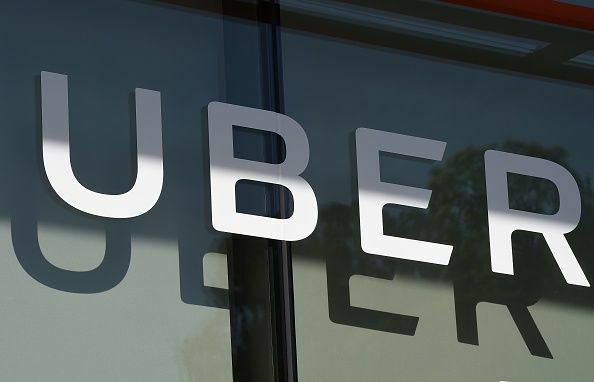 For Uber, workcations are broken into two categories: for wacky, out-of-the-box ideas and for necessities that have fallen through the cracks in a packed day-to-day office schedule. While 2013’s expansion theme was a necessity, 2014’s ideas theme bred both types of projects. It was during workcation 2014 that the idea of integrating Spotify with Uber was born. A prototype was designed in less than 10 days, though it took until September for the final version to be launched. Different concepts for push notifications were also debated during workcation 2014, as a team in Sonoma, California led by engineer Aiden Scandella worked to move Uber’s app away from text message notifications. The change was a necessity that had eluded Scandella’s team for far too long due to scheduling conflicts. He brought together a designer, a product manager, some engineers and a marketing manager from Charlotte, North Carolina to create push notifications and debate exactly what they would do. Scandella, a wine enthusiast who picked the location for its vineyards, wanted surge-pricing changes to be reflected in the push notifications. 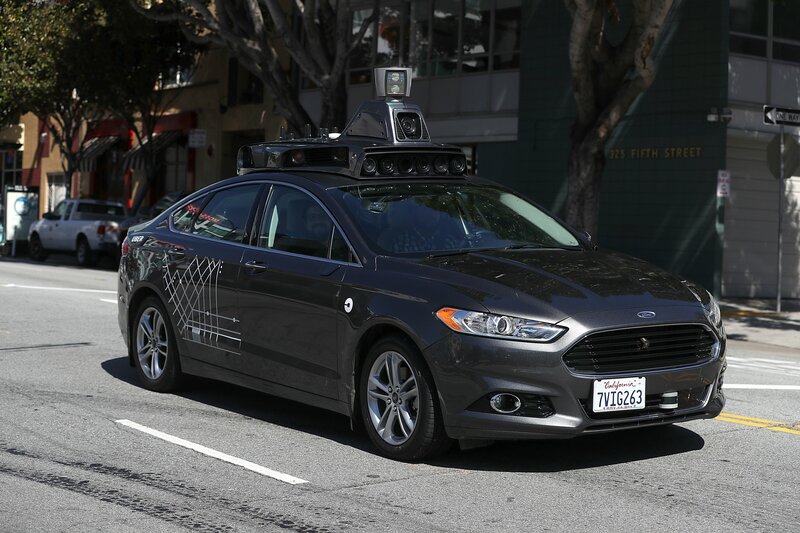 This workcation team built the prototype in six days and upon arriving back at headquarters, Shalin Mantri, an Uber project manager, fiddled with the concept and design for several more weeks. While they were unable to find a way to fit surge-pricing changes into push, they did have a completed push notification system ready to launch. Because of the amount of work Scandella and his team did on workcation, Mantri estimates push was built in about 12 to 16 weeks less than it would have taken in the office. This is, of course, beneficial to the company and outweighs the costs of sending so many employees around the world. When the Spotify integration broke—workcation’s most notable success thus far—both companies were at the center of a media frenzy, with hundreds of pieces debating the nature of the partnership, what it meant for the companies’ futures and, of course, if customers actually enjoyed the offering. When a company-sponsored vacation garners those kinds of results, the effort expands, and that it did. This year’s workcation sent hundreds employees to dozens of cities in 40 teams. They held 23 New Year’s parties across 23 time zones, watching frantically to be sure that the app didn’t crash in their location and that the delicate driver-rider balance remained intact. The culture of workcation, and of Uber in general, promotes this obsessive attention to detail and desire for perfection. The projects remain a secret—all are still in development following this year’s workcation—but if the Spotify integration sets the bar for workcation success, Uber users can assume at least one quirky addition is coming in the next few months.